The State of New Mexico has done a fine job with this online gem that is presented in PDF format. Not only does this publication provide you with the basics of gold panning and placer mining, it lists the major placer and lode gold areas of the Land of Enchantment with a brief description of each. Additionally, contact information is provided for a number of state agencies that may prove useful for queries concerning permits, claim information, etc. Check the bibliography at the end of this publication for titles of other pertinent New Mexico gold mining publications. 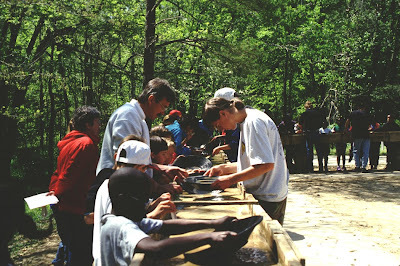 This easy-to-read online brochure contains a wealth of information on gold mining in the State of North Carolina, including where to find additional info; the state's gold history; how to identify gold; lands open to prospecting; permits and regulations; where gold was mined in North Carolina; where to find gold in the state now; mining equipment; and where to sell your gold. There are any number of excellent publications listed here on gold and gold mining in Utah. Here are just a few: "Gold Placers in Utah;" "Utah Gold: History, Placers, and Recreational Regulations;" "Gold Prospecting in Utah;" and "Mines and Prospects Containing Gold in Utah," among others. An added bonus here is a short list of mining/prospecting clubs in the state. This mining website contains all sorts of information, much of it found in the list of write ups located in the site's "Articles" section. Articles of interest to the general gold mining audience include "Alaskan Mining History 101," Making it in Mining," "Prospectors? An Endangered Species?," "How to Patent a Mining Claim," and others. These articles are definitely worth more than a cursory read. If you are a Golden State miner or are planning a mining trip to California, the state Geological Survey has some great information here. 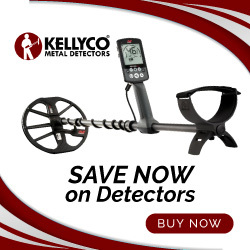 There is an entire section on gold prospecting that includes "Hints for Gold Prospectors" and "Placer Gold Recovery Methods." Additionally, this listing of publications and articles includes maps of historic and active gold mines, an account of the original gold discovery at Coloma, historic photographs, and some absolutely stunning photos of California gold and gold specimens. This one is a must if you want to learn more about California gold and gold mining in general. Enjoy your time perusing all of this information and take care out there. If you liked this post, you may want to read: "State Geological Surveys Links (List 2)"